I love onion soup. Sodden baguette rounds drowning under a congealing gob of blubbery cheese… not so much. French onion soup should be about the onions, not the bread. Or the cheese. 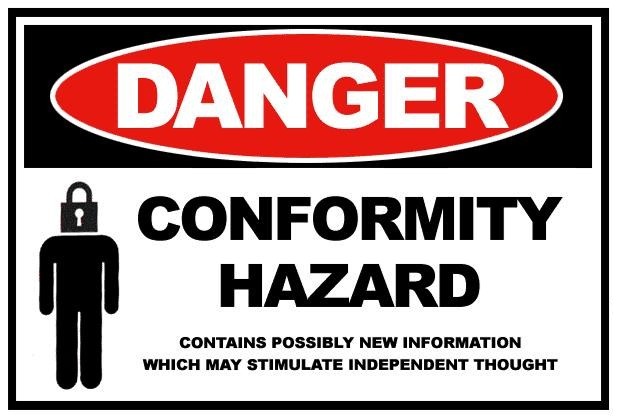 In fact, cheese is to French onion soup what oak is to wine and ketchup is to hamburger; injudicious application is often a camouflage for incongruent flavors or lacklustre broth. Classic versions of this soup call for yellow onions, white wine, and repeated de-glazing of the pan… but unless you actually want to spend all morning tethered to your stove, try red onions and dry red wine. 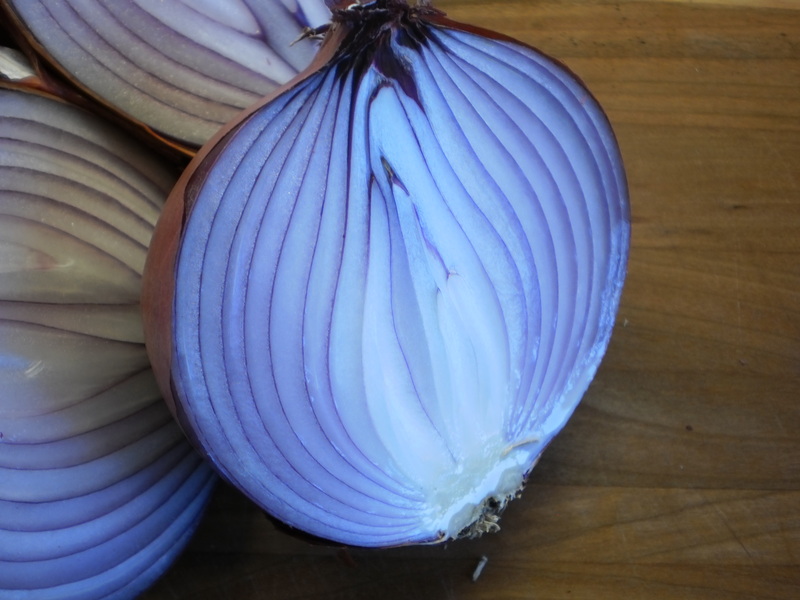 Caramelized red onions will add complexity and flavour to the broth in a relatively short period of time, while red wine will bring deep colour to the finished soup. Onions are easier to peel after they have been halved. Take 3 large red onions and halve them pole to pole, (through the root and stem, not across the equator), cut off the stem end and peel the skin back towards the root. Leave the root intact (it will hold the onion together as you slice) and slice the onions thinly, starting at the stem end. 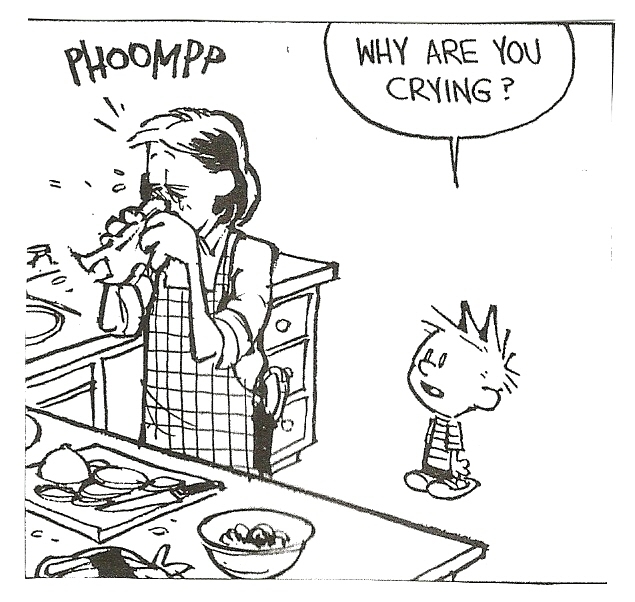 Depending on the onion (and your choice of knife), this might make you cry. Onions absorb sulfur from the soil and convert it to amino acid sulfoxides that, when triggered by a specific enzyme, act as a chemical defense mechanism for the plant. Just think of it as tear gas for alliums: when onion cells are damaged by chewing, chopping or slicing, the sulfoxides form sulfenic acids, which the enzyme breaks apart to form a sulfur compound that is released into the air as a kind of naturally occurring (unlike tear gas) lacrimator. 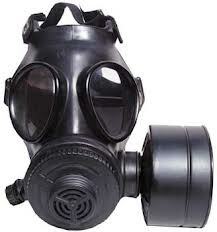 As the sulfur compound lands on your eyeballs, it mixes with your tears and breaks down into hydrogen sulfide, sulfur dioxide and sulfuric acid, a volatile concoction that irritates your corneal nerves and makes your eyes water (very much like tear gas). Actually, I have been gassed, thanks for asking, it’s one of the many delights of basic training, and it ranks right up there with being marinated in copious quantities of police grade pepper spray. 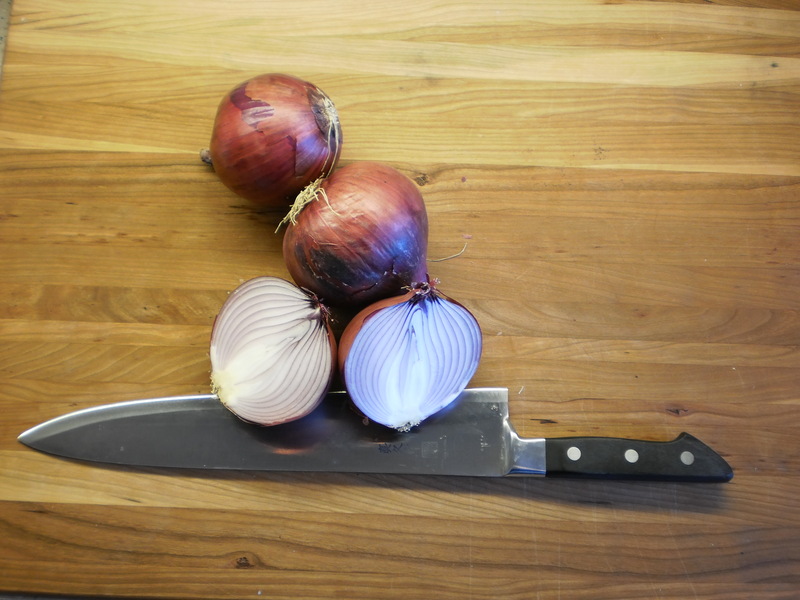 In any event, a sharp knife and an efficient chopping method will mitigate the tear gas effect, as will chilling your onions for a few minutes in the freezer, as the cold will significantly slow the rate of the chemical reaction inside the onion. 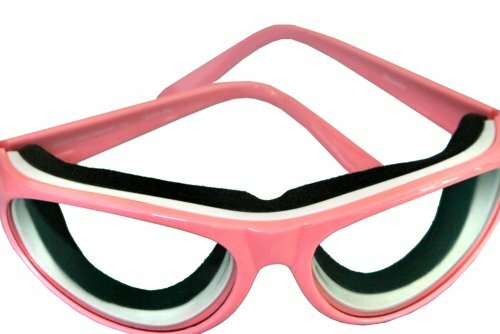 Maybe it’s me, but the fact that you can even buy dedicated onion goggles lends credence to the cliché that a fool and his money are soon parted. In a large Dutch oven, melt 3 TBSP of butter over medium-high heat. After the foaming subsides, add the onions and stir in 1 tsp of sea salt. 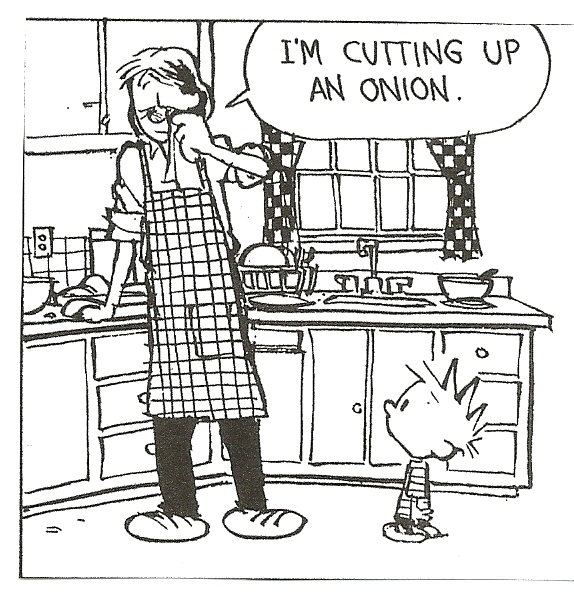 Cook the onions for about 30 minutes, stirring frequently. The dark brown crust on the bottom of the pan (the fond) is what you’re after here, as this is what gives the broth its flavor. 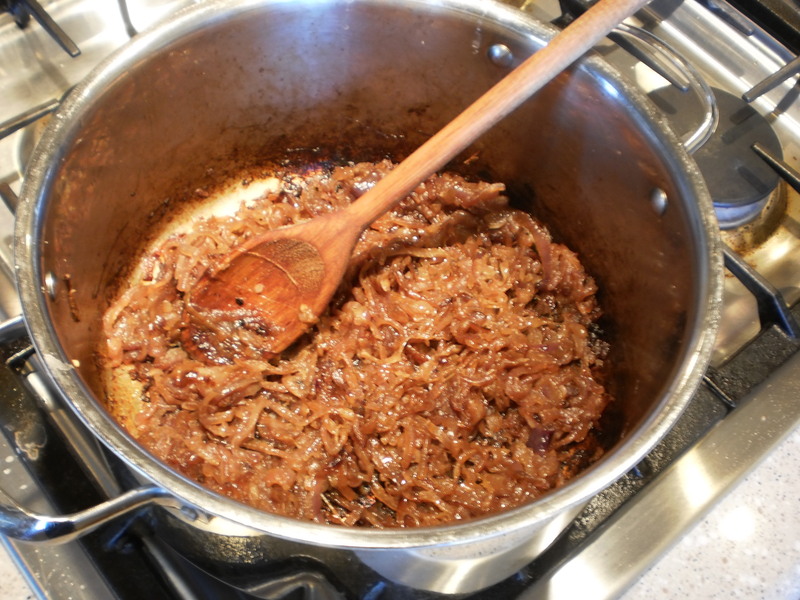 After about half an hour, the onions will be glossy and caramelized and will have reduced to almost nothing. 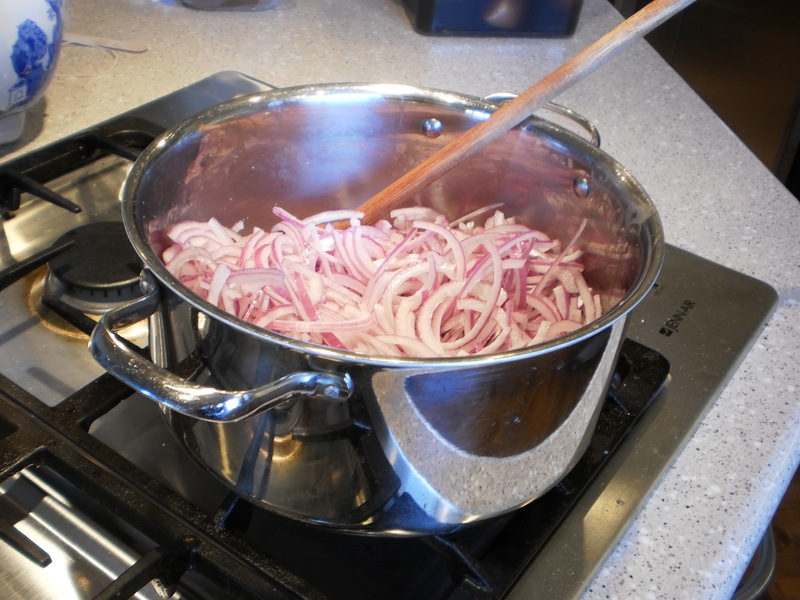 Add 1/4 cup of dry red wine to the onions; scrape the bottom of the pan vigorously as the wine simmers, loosening the fond. When the liquid has evaporated and the bottom of the pot begins to brown again (3-4 minutes), add another 1/4 cup of wine to the pot and repeat the process. After the wine has evaporated a second time, add 2 cups of beef stock, 3 cups of chicken stock and 1/4 cup of dry sherry to the pot. 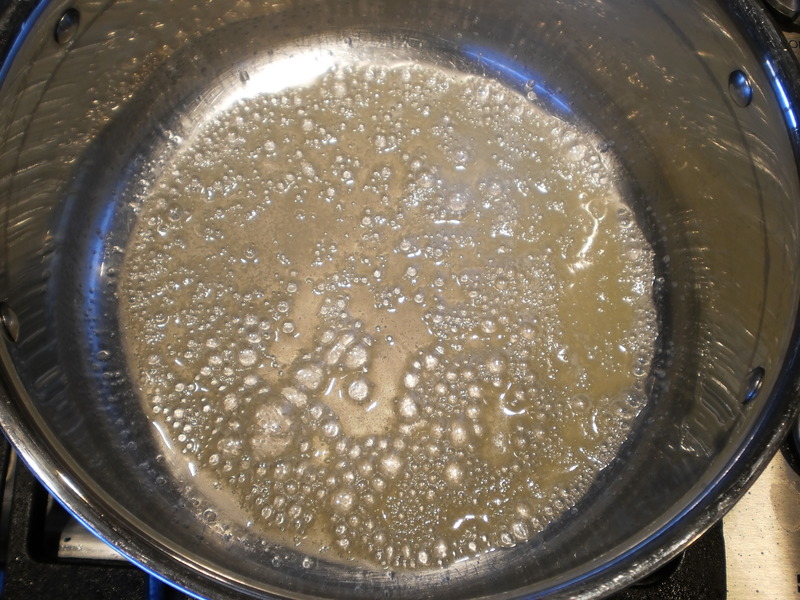 Scrape up any remaining brown bits, bring the liquid to a simmer and reduce the heat to medium-low. Tie 4 sprigs of fresh thyme together with butchers’ twine (I don’t bother tying herbs together when I make stock, as I strain the liquid through a fine-mesh sieve, but in this case, it’s much easier to pick out of the pot if it’s tied into a bundle), add it to the pot and simmer for 20 minutes. Preheat the oven to 300 degrees F and set one rack set to the middle. While the soup is simmering, cut the baguette into 1 inch cubes, spread the bread evenly over a rimmed baking sheet, and bake for 20 minutes, stirring a couple times during the drying process. This is a relatively recent addition to Costco’s bakery repertoire: portion-controlled baguette. Except that it comes in a six pack. 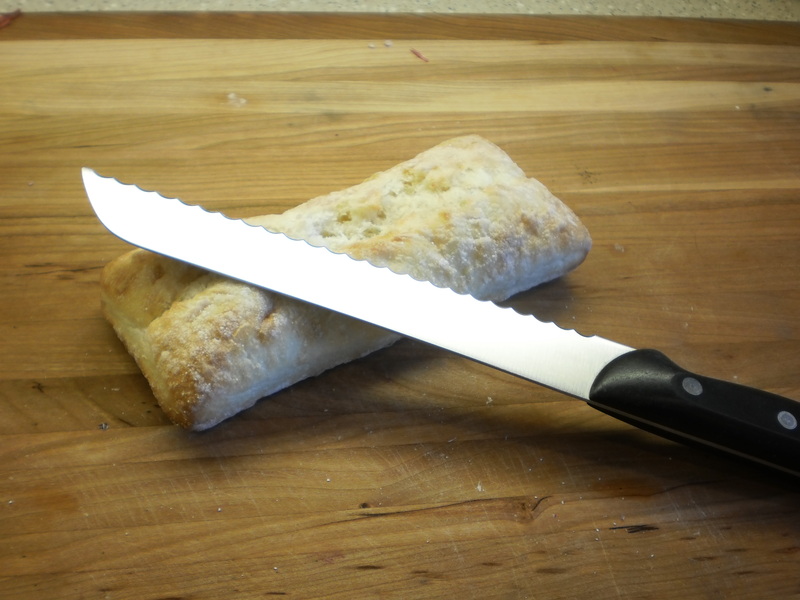 And, if you’re a die-hard traditionalist who advocates for naturally staled baguette rounds, take a minute to ask yourself why. 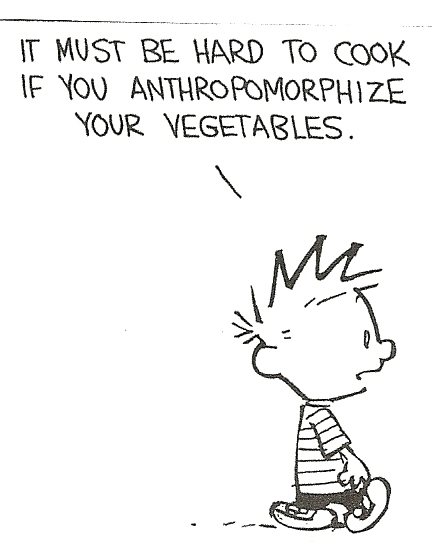 Because it tastes better? Produces better mouth feel? Or… because it’s always been done that way. Back in the days when food was scarce and “waste” was a profanity, staled bread was used up in myriad recipes, including French onion soup, because throwing it out would have been the culinary equivalent of a deadly sin. In the western world, at least, modern food distribution has given us highly effective ways to prevent waste, which, (when combined with mindful shopping), should eradicate our need to use up stale bread in the first place. In the meantime, modern science also tells us that bread dried in the oven is molecularly different from bread staled on the counter, and that the former creates a better crouton, and therefore a better dish. When bread stales at room temperature, despite appearance to the contrary, the moisture in the loaf does not evaporate. Rather, the starches recrystallize and the water in the bread migrates from the starches to the spaces in between, leaving the bread hard and crumbly, but not necessarily dry. When the loaf is reheated, the starch reabsorbs the water, turning the bread gluey. If, however, you heat a fresh loaf in a low oven, the moisture is actually driven off through evaporation, and the dried bread makes better stuffing, better bread pudding (if there is such a thing), and yes, even better French onion soup. Next, remove the croutons from the oven, set the oven to broil, and divide the soup evenly between 4 French onion soup bowls. To keep the croutons out of the soup, (as an aside, I use croutons, not baguette rounds, because you can spoon them out one at a time with no need to repeatedly push the bread all the way under the liquid’s surface to break it into bite-size pieces. But that’s me; I can’t stand crackers in my soup, either, saturated crackers remind me of pablum, and not in a nostalgic way, either), layer one slice of Swiss cheese over each soup bowl before distributing 1/4 of the croutons over each slice. Sprinkle 1 TBSP of grated grueyere cheese over each bowl and run the soup under the broiler until the cheese is golden brown and bubbly, about 5 – 7 minutes. Halve onions pole to pole; slice off stem end and peel back skin. 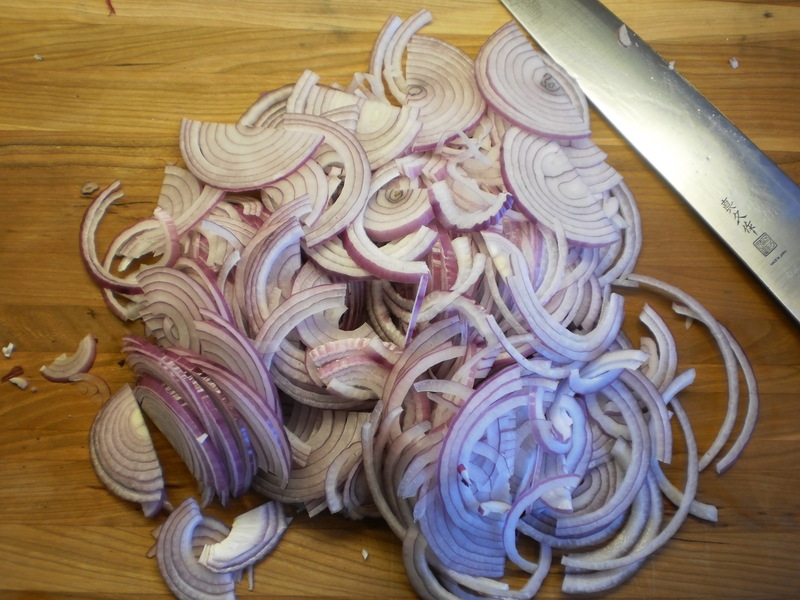 Starting at the stem end, slice the onions into 1/8 inch slices. Melt butter in large Dutch oven over medium-high heat. When foaming subsides, add onions and stir in salt. Cook, stirring frequently, until onions are glossy and reduced, and bottom of pot is covered in deep brown crust, about 30 minutes. Add half the red wine; bring to simmer and scrape up all the brown bits. Simmer until all liquid is evaporated and pot begins to brown again, 3-4- minutes. Add the rest of the wine and repeat. When the wine has evaporated a second time, add the stocks and the sherry; bring to a simmer and cook for 20 minutes. preheat the oven to 300 degrees F and set one rack to the middle. Chop the bread into 1 inch cubes and toast for 20 minutes. Remove the croutons from the oven; switch the oven to broil. Divide the soup evenly between 4 French onion soup crocks; layer 1 slice of Swiss cheese over each bowl, divide the croutons evenly over the cheese, and sprinkle 1 TBSP of the grueyere over the croutons. Broil until cheese is golden and bubbly, about 5 – 7 minutes. This entry was posted in recipes and tagged cheese, croutons, non-conformity, onions, soup, staling.